After being put into bat, Australia got off to a cautious start but failed to capitalize with opener D’Arcy Short (7) giving his wicket away in the fifth over. 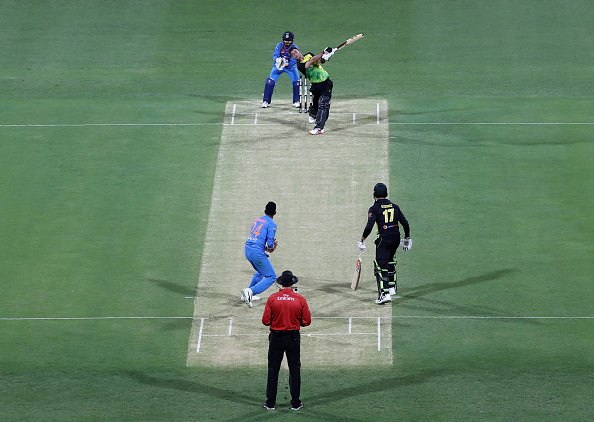 Skipper Aaron Finch (27) followed him soon after getting the initial start. Chris Lynn looked dangerous during his 37-run knock off 20 deliveries but Kuldeep Yadav got the better of him with a googly. #RRvDC | Here are our predicted playing XI's for rajasthanroyals and DelhiCapitals in Match 40 of #IPL2019.